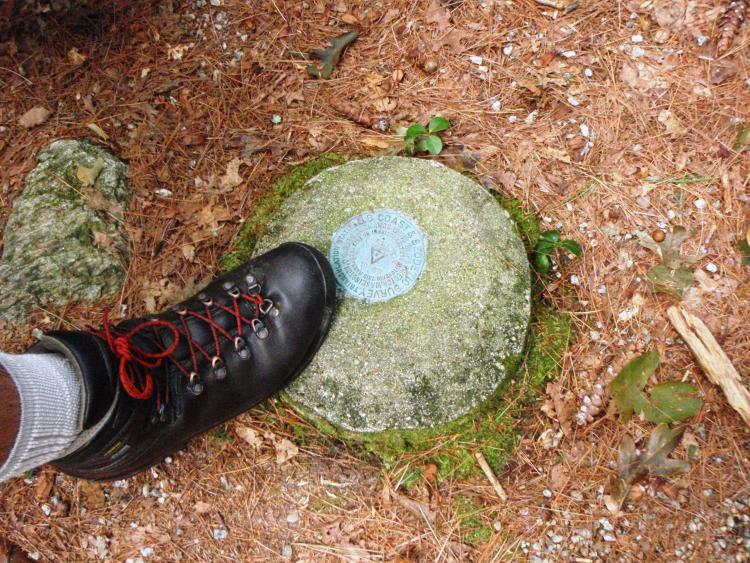 The Smallest State's Tallest Peak: Is R.I.'s Jerimoth Hill America's Most Challenging? I've got big news for all you serious outdoor types: Maine's Katahdin isn't the climbing adventure you thought it was. Mt. Mansfield? Mt. Washington? These nubs are a walk in the park. Nope, you've got to head for Rhode Island for what may be America's most challenging mountain quest. Are you up for it? 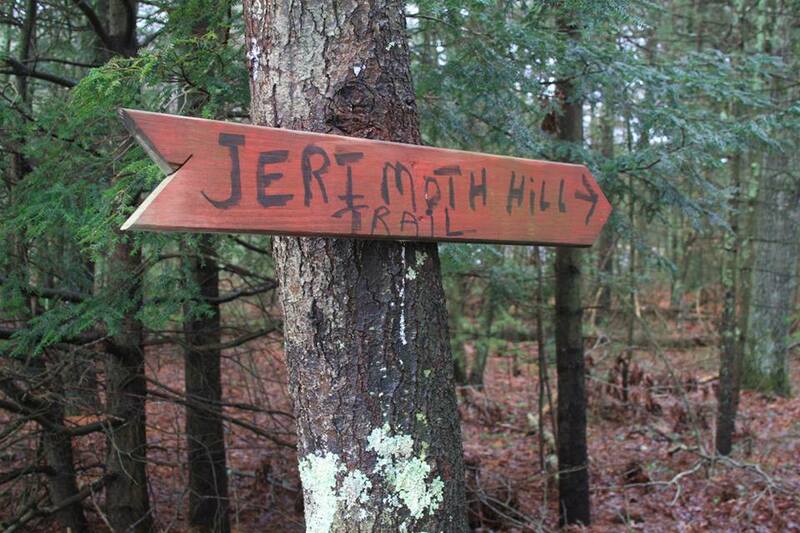 Then plan a trip to Jerimoth Hill. Jerimoth, in Foster, R.I., is the littlest state's highest point. If you try and tackle it, you'll walk on no crumbling rock-faces (there's a paved state highway you can take). 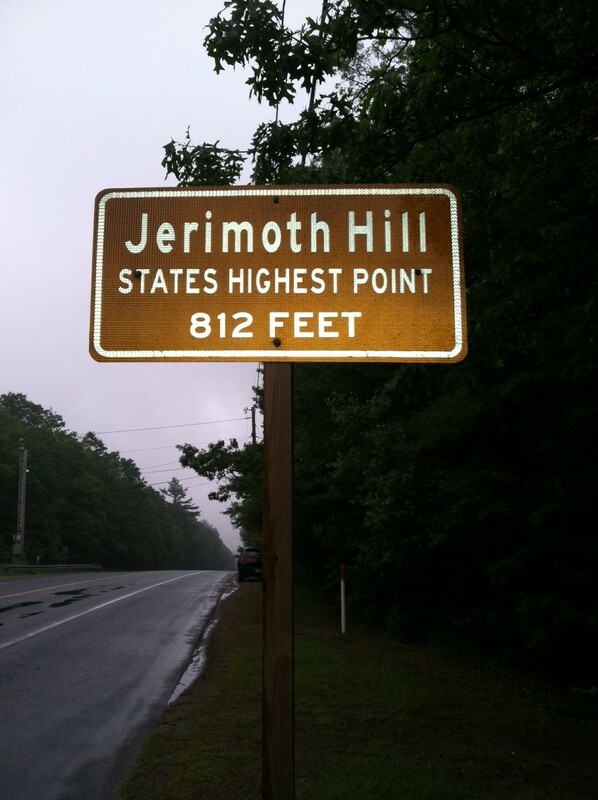 And as for endurance, Jerimoth tops out at a total of 812 feet in height. But what I discovered, a few years back, was that there were times when an eager climber couldn't summit it. Brown University owned the deed to the very top. And the land around it, plus access from nearby Route 101, had, over the years, been controlled by local owners with, um, varying opinions on whether hikers should be allowed to tramp through. Scaling Jerimoth may be easier now. Easier, and a lot less exciting. Here's my tale of real mountaineering -- when it took guts and daring and some very unusual equipment to get to the top. It is early spring. 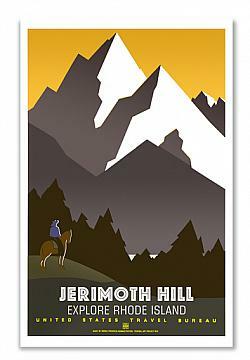 I am in a climbing mood, and decide I'm going to get as far up Jerimoth as I can. After reading news reports about the high-point being closed completely and landowners here "threatening...and firing shots over the heads of hikers," I decide I'd better try contacting them first for permission to pass through. It's really only a short walk from the roadside, and since Brown doesn't block access to its portion, I have hopes. But I get no response. According to emails I've exchanged with the Highpointers Club, a national climbing group, I've been told that I can only get through on a few annual "access dates" they'd negotiated with the owners. Problem is, I want to collect this tantalizing prize and get to the top of Jerimoth today. I consider bushwhacking up there in the dark. But I've heard rumors that the landowners have motion detectors in place along the trail. I consider chartering a helicopter. This is a brainstorm, I am sure. I will buzz above this tangle of private turf rights and special days, instructing the pilot to land me up there just long enough to claim the peak and take some exclusive pictures. No one can possibly own the "air rights" to these forested acres. No one that is, but me. Just as I'm getting excited about my assault from the air, I get word from Brown that there isn't enough of a clearing on their land for a copter to touch down safely. If I pursue the idea, I'm told, I will have to sign a whole sheaf of forms. Forget it, I say, and, topographic map in hand, I load up the car. Some will tell you that the Rhode Island state landfill in Johnston beats out any hill in the state (or building) when it comes to height. Driving through, I try to get a glimpse of this man-made pile, but although the air is pungent, there is nothing to see. I swing onto Route 101 West, and after I pass a Foster gas station I know Jerimoth is near. That was it? I think. I have whizzed past a sign announcing "Rhode Island's Highest Point," slammed on the brakes, and wheeled around. I drive back up, park in a pulloff--and decide I will retake the hill on foot. This occupies ten minutes. Back at the sign, I scratch my head. It seems surprisingly calm up here. No one is firing any shots. And no one shouts as I scope out the little path that leads through private property to the peak. Still, I treat it as if it were sprinkled with land mines. I do not so much as set foot. There isn't much of a view, but I do find an abandoned cabin and a couple of notices. A sign's been posted by my friends at the Highpointers Club. 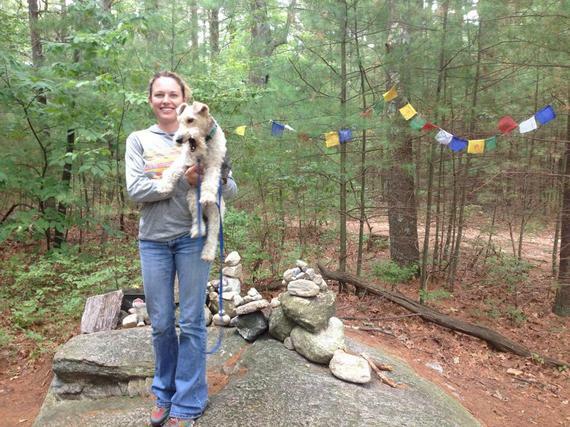 There is excellent news: The current property owner has decided to give hikers daily access, from 8:00 a.m. to 4:00 p.m. It is now almost 5:00. To be frank, I don't like climbing hills on someone else's schedule. I want the summit now. Something else that's posted catches my eye: "Jerimoth Hill, itself," it says, "is heavily wooded, has no views at all, and is only about five feet higher than the highway..."
Five feet did you say? My thoughts are racing, as I return to my car. I pop the latch to check the circumference of my trunk. Unless I have misunderstood, a few loads of loam stand between me and Rhode Island history. I know what I must do. If I cannot get to the peak, I will create a new one. Right by the side of the road. I will go and get my work gloves and a wheelbarrow. I will be a hero. Mt. Mandel they will call it, and in return, I will allow 24-hour, year-round access to all. It may be a smelly operation. This, I know. And it may take two or three trunkloads, or even more. But the sun is still up. And the Johnston landfill is not far.